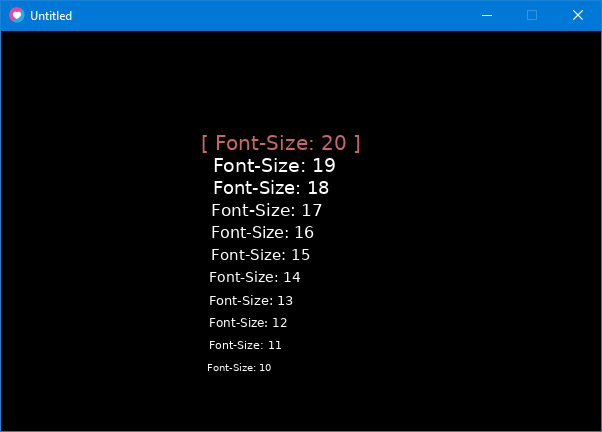 I've written a little Menu Engine and thought, it can be useful for others. So I share it here^^. 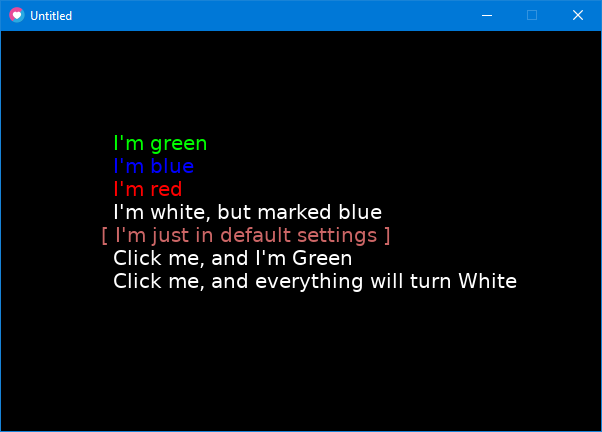 With this Menu Engine, it is possible to create a *dun dun duuun* Menu, that contains Entries which can be navigated & selected through Keyboard (WASD, Arrow-Keys, NumPad) and Mouse. local menuengine = require "menuengine"
local text = "Nothing was selected." 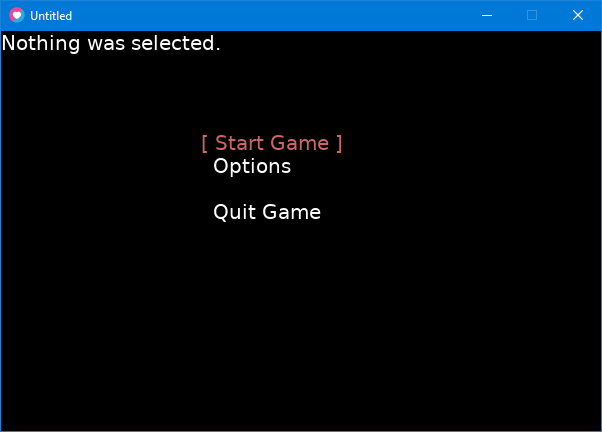 text = "Start Game was selected!" text = "Options was selected!" 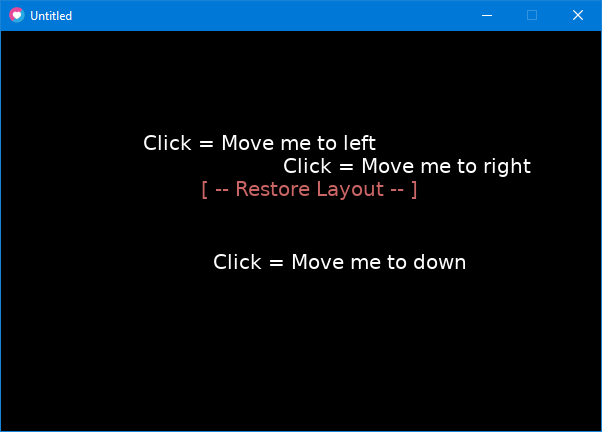 text = "Quit Game was selected!" 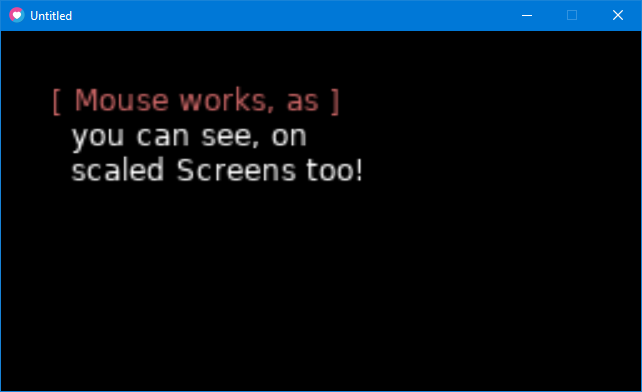 - It works with Sound-Objects: One for Moving through the Menu, one for Selecting an Entry. Every Entry can have it's own Sound-Object. - You can hide and unhide Entries on-the-fly as you wish. Alle Examples can be found in the menu-examples.zip. Feel free to comment, and if you found bugs, please tell it . Last edited by Astorek86 on Wed Jan 09, 2019 2:02 am, edited 5 times in total. Really cool and simple, nice work. Just took a brief look at your code, and I saw you made the table menuengine global. What are the reasons about this choice? Actually I'm not a very good programmer, I'm just used to use local variables almost all the time. That's great, looking forward to hear about it. That's a good idea, I've just updated Github + Attachments; now it supports Arguments.